Trinity Mirror has unveiled plans to replace six existing newspaper titles with what will be Britain’s biggest weekly free newspaper. The Manchester Weekly News, to be launched in early April, will be distributed to more than 265,000 homes across the Greater Manchester city region. It will mean the loss of around nine jobs on existing free titles the Stockport Times, Wilmslow Express and the Advertiser series in Tameside, Salford, Oldham and Trafford, all of which will close. Most of its editorial content and display advertising will be editionised to three areas: Salford, South Manchester and Tameside, while classified advertising will be editionised to even more local areas such as East and West Stockport. As well as local and community news, the Weekly News will include highlights of what’s on in Manchester, fashion, shopping and lifestyle features plus a round-up of the latest news and opinion for fans of Manchester United and Manchester City. Trinity Mirror said the changes will result in nine positions on weekly titles being made redundant but a similar number of new digital roles will be created. The new roles will be designed to further develop coverage of the city centre and South Manchester and bolster the editorial team in the evenings and at weekends to meet the growing demand for content from readers using mobile smart devices. 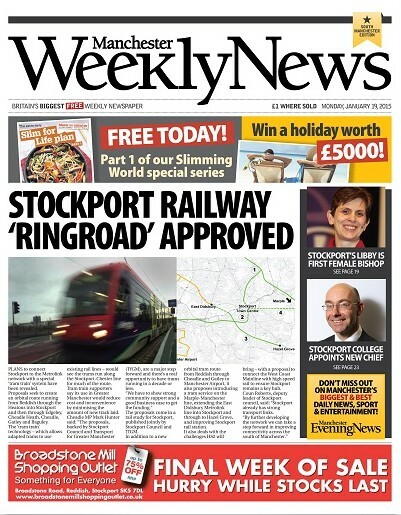 MEN Media also publishes paid-for weekly titles in Stockport, Rochdale, Accrington, Rossendale and Macclesfield which are unaffected by the plans. Managing Director Paul O’Halloran said: “The Manchester Weekly News will provide us with circa 400,000 readers with the high ABC1 profile audience our clients want to reach. The MEN group used to have one of the largest free weeklies in the country – the Manchester Metro News. But it was such a success, editorially at least, that it had to be deliberately hobbled, in its later years, so as not to embarrass the MEN. And then they made the MEN free on certain days anyway, completing the circle. Just a pity for the staff at these individual titles, who can always be rehired as digital monkeys, if their salary aspirations are not too ambitious…. “Circa 400,000 readers’. I think the MD meant ” about”. Circa usually reserved for history dates. Good luck with new paper though. Just don’t do the editing. The great shame is that these publications are led by greasy pole climbers who keep their mouths shut for fear of losing their elevated non positions. Meanwhile crap management spout yet more Groundhog Day words promising yet another new beginning. God help all the hardworking and the inspiring journalistic team beneath them who keep this lot in jobs! Why didn’t they do this in Berkshire rather than killing off their papers and killing the careers of their staff? How to make local news even less local, but I suppose a circulation of 250k will be seen as a selling tool for the ad reps, assuming there are any of them left. Here’s a true measure of the decline of the regional press in a generation. In the early 70s when I worked for the Manchester Evening News it peaked with a circulation of 404,000 a night. It seems Trinity Mirror’s plan for managed decline has finally been realised. When GMG took the decision to close district offices back in 2009 they not only took reporters out of the community, they took away a valuable source of revenue; this was a time when the offices in Tameside and Salford took somewhere in the region of £1m each, annually, over the counter. The sole traders who relied on this cash-based service did not continue to place ads once the offices were closed, and the total lack of digital advertising strategy meant that they took any online advertising elsewhere to specialist websites for men and vans or plumbers or whatever. Fast forward a few months (and now under the control of Trinity Mirror) and the puffed-up fools running the business (locally and nationally) could shout ‘we’re not making enough money!’ and use that to justify title closures and more redundancies – thus further reducing the quality of the papers, leading to fewer advertisers wanting to get involved (add this to the continued lack of any digital advertising or editorial) and revenue tumbles further. Repeat this process a few times and this leads to the current situation. All the while there’s been a team of journalists working their socks off to put out newspapers with the most limited of resources. They all work damned hard and have been treated abysmally by Trinity Mirror time and time again (below inflation pay rises, no cover for long-term sick staff or staff on maternity leave, people not replaced when they leave, next to no photographic cover, little training and no career development, pay brackets capped at an insultingly low level, little legal or subbing support… the list goes on) while themselves having to deal with the flack from readers about why a photographer couldn’t get to X event or why no one attended court for Z case. The staff on these titles cared, it’s just a shame the management never appeared to give a damn. I am disgusted by this latest move. It’s an insult to the staff, and insult to the readers and yet another turn of the knife for local democracy. I hope those whose salary is inversely proportionate to the amount of work they do are pleased with themselves; their bottom line is going to look awesome but the cost of this (and the past few years of cuts) cannot be put into words. Is this new title perhaps of portent of what the Manchester Evening News may eventually become? 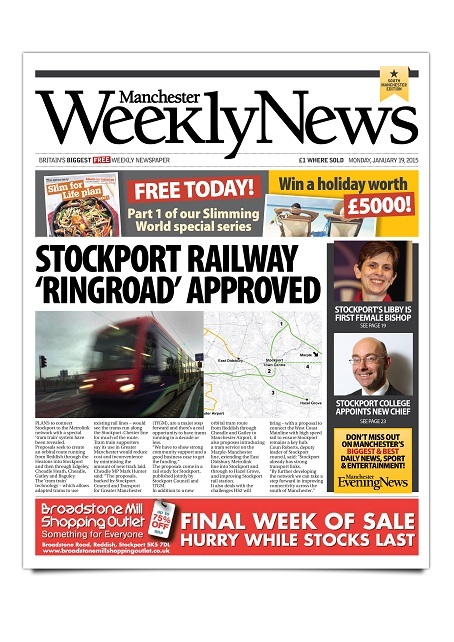 Can see some sense in consolidating Greater Manchester titles but seems a bit crazy to abandon the Wilmslow Express and the Macclesfield Times. I am sure the Cheshire ladies who lunch will not approve! Sounds like a great chance for another publisher to jump into the so-called Golden Triangle. May I just pen a sentence in support of the “glass half empty” brigade? Pessimist contributors provide far more inside information about what is really going on behind a news story than those who try to put a superficial gloss on it. So don’t knock them! Managements invariably refuse to comment, usually because they are hiding something. With regional papers in terminal circulation decline, young journalists need a realistic appraisal of what’s happening when charting their career paths, not bucket loads of kidology . Also, in controversial matters it can be safer to hide under a pseudonym. Journalism is a very small world and your actions travel with you right around the country. Domain, and one would assume decision, taken in November. That does not seem that long ago? Excuse me….. am I reading this correctly? These are free newspapers that are solely dependent upon advertising revenue? If they were bringing in ‘shed loads of cash’ I doubt that the MEN would be remodeling their free titles, so at least this gives them the ability to use scale to give advertisers a much bigger audience. Also the nine jobs going on the existing titles are matched by nine new digital reporting roles, so further opportunities for the right people. Everyone is always quick to criticise but I wish the MEN guys every success – I hope you can make it work. Who will be printing it ? This new publication will be a watered down version of The Advertiser and the titles it will replace. What is truly shocking is that everything is done to keep the mothership afloat to the detriment of weekly readers wanting news about Wilmslow but being given a diet of Tameside and vice versa. The plot if it ever was found has truly been lost.! So the website reaches 9 million people globally every month, so 78.8% of the audience is from overseas that’s nice and local! comScore shows the total net UK audience for this site was 1.9 million in December 2014. Good luck with the aim of 400,000 readers with the print product – with a door to door distribution of 265,000 copies expect an audience of 350,000. Paul O’Halloran is a top guy, but please get real about your audience metrics. We have seen the cost of death notices soar sky high with the average cost to families in the region of £180 for a average notice. Will family notices be a mixture from all areas now? Will Tameside people feel this paper is truly a ‘local’ one in which to place their notices after this change? As a local funeral director I am already ashamed when trying to explain the high cost of these notices to grieving families and now on top of this I have to explain there will be many other notices from around the region as the local Tameside Advertiser is no longer!